PARTNER NEWS: HID Global is increasing investment in its NFC-based Trusted Tag brand protection service and expanding its network of solution providers around the world. The move follows Apple’s recent update to its Core NFC framework to improve the tag reading capabilities of its latest iPhones. HID’s Trusted Tag Services for brands combine the company’s Trusted Tags with a cloud-based authentication service. “The advanced cryptographic capabilities of the embedded tags make them virtually impossible to be cloned or copied, and the extended security features in HID’s cloud authentication service provide privacy-preserving brand authentication and consumer engagement in a closed and trusted environment,” HID Global explains. AUSTIN, Texas, October 4, 2018 – Protecting major brands against counterfeiting and grey market activities is a global challenge, which yields the same result regardless of the industry: lost sales and a poor customer experience that are damaging to the brand. 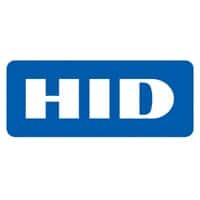 HID Global®, a worldwide leader in trusted identity solutions, has responded to this escalating issue by increasing its investments in HID’s IoT-based brand protection services and expanding its community of partners who develop and deliver seamless front-end experiences to global brands and consumers. These initiatives are bringing peace of mind to both manufacturers seeking to safeguard their brands and consumers who want to verify the authenticity of their purchases in a trusted IoT environment. HID Trusted Tag® Services make this possible by securely authenticating products from the time of production, through every step of the distribution process, and at the point of consumer sale–all with a simple tap of an Android or iOS phone. • In the United States, New York City based partner Blue Bite has launched an authentication suite, which uses HID Trusted Tag Services for major European brands, in partnership with Italy based Temera. • In Canada, Toronto based partner Authentic or Not is working with HID to provide a secure brand authentication experience to major brands. • In the United Kingdom, London based partner Skute is using HID Trusted Tag Services to unlock real-time, hyper-personalized experiences for a new wave of fan engagement. “Our platform is shifting the paradigm in fan engagement by giving consumers secure, authentic and direct access to their favorite musical artist, athletes, teams and brands, all via a variety of creative form factors so organizations can facilitate exclusive direct marketing experiences. This exclusivity translates to the younger market too–in industries such as gaming, toys and music–where Skute gives parents peace of mind that their children can safely engage with various channels in a ‘ring fenced’ IoT ecosystem,” said Dan Lewis, CEO of Skute. • In Australia, Tasmanian based partner AusNFC uses HID Trusted Tag Services with their web application Old Kimpton Distillery and McHenry Distillery. “We believe that HID Trusted Tag Services are changing the game for securely authenticating brands. Being able to stay connected and engage with their consumers as part of building brand loyalty was a deciding factor when Old Kimpton Distillery and McHenry Distillery chose HID for brand protection,” said Larry Hower, CEO of AusNFC.